The team behind September 2014’s show once again head up the production of this new, extended show. Composer Oliver Mills will return to Direct and Produce, whilst Writer Rachel Mann will share Production duties. The show calls for a cast of 18+ performers and a 12-piece orchestra. There are backstage and crew positions in departments including, but not limited to, Art, Design, Set Building, Stage Management, Front of House, Publicity and Tech. For Casting, there will be a number of Audition dates in the coming weeks. We welcome anyone of any age and experience to audition. Rehearsals will take place throughout the summer. Involvement in the show may require commitment from April, and will require regular availability during August and September. 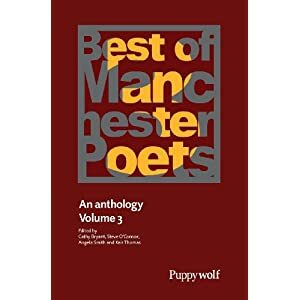 I forgot to mention – I had a poem accepted for the latest Best Of Manchester Poets anthology. That means I’ve had a poem in each collection. Poems are judged anonymously. This year’s poem is called Tsetse Rat. It’s one of my favourites of all I have written: it was inspired by the sight of a dead rat at the bus stop. If you happen to be in and around Manchester tomorrow night, the book’s launch is taking place at a free event at the Eighth Day Cafe, Oxford Road, M1 7DU, 7:30-10. Poets in the book will be reading from the collection and it is hosted by Dominic Berry. I can’t make it, unfortunately, because I’m feeling a little slimsy at the moment; but I was at the launch of the first anthology and it was great fun. was it death by cat? I hope it was old age; you fell asleep. Dark comfort in your long rest. heels and prams and bicycle wheels. of the dirty path; curled like an idle moon. The previous word was ‘rutilant’: Glowing or glittering with ruddy or golden light – what I do each time I have a poem accepted. It never gets old. My friend Eileen Simkiss wrote a book about Fifties life in Ardwick, Manchester. For this weekend only it is available for free download to your Kindle. It’s dead o’clock on Saturday morning. Been up since pre-dead a.m. Getting the bus(es) into Manchester. It’s early and dark and freeeeeeeeeeeeeeeeeeeeeeeezing and I’m tired. Winter has made its belated arrival. Hooray for central heating, but I’m still sitting in fleecy pyjamas, thick dressing gown and a thin blanket around my shoulders like a Russian granny. 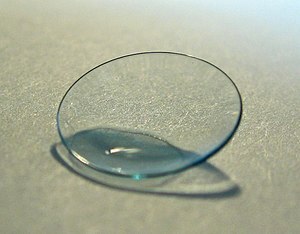 Spud has the opportunity to take part in a study for contact lenses for teenagers. He might be in the control group with glasses. He might not be suitable. He might earn £135 + free glasses/lenses for six months of doing nothing but the occasional eye test in Manchester. He has to have an adult present at those tests. He wants the money, so I have to go with him. I get nothing out of it except the warm glow of motherly self-sacrifice, and frost bite. I could be in bed right now with a warm husband and a sleeping alarm clock. Damn this maternal gene. Read more Six Word Saturdays here. If you’re awake. As there were so many comments wishing him good luck, I thought you’d like to know that Spud was accepted onto the trial. He won’t know which group he’ll be in until next week, but he has no preference. Good news for me: he turned sixteen today (Sunday), so I don’t have to go with him again. Yay! Calling all Greater Manchester bloggers: nominations for The Manchester Blog Awards are now being accepted, here. I’ve nominated someone but I’m not saying who, because I don’t want them to feel obliged. I’m sure you’ll forgive me for not keeping to my self-imposed updating timetable when I remind you that I have young visitors; and that there’s really nothing to report. It’s difficult to work on challenges when I have a full house. I suppose that’s part of the challenge. You can check out the other members on the right; and while you’re doing that, think about joining us. 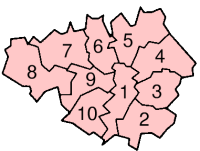 As I have nothing to report, I’ll flesh this post out with a general catch-up. Of some worry to the management was the number of people (28.57%) who willingly admitted to being freaks in the recent Friends poll. At least you’re honest. More concern was felt at the number of huge fibbers who claimed to have a life (35.71%). If that were the case, you wouldn’t be filling in fatuous polls now, would you? The number of compliments paid has fallen sharply after my begging letter. Thank you. Especially to those who took it to the other extreme and offered gratuitous insults. It’s nice to know you care. Man who looted charity box in Manchester riots in the dock.